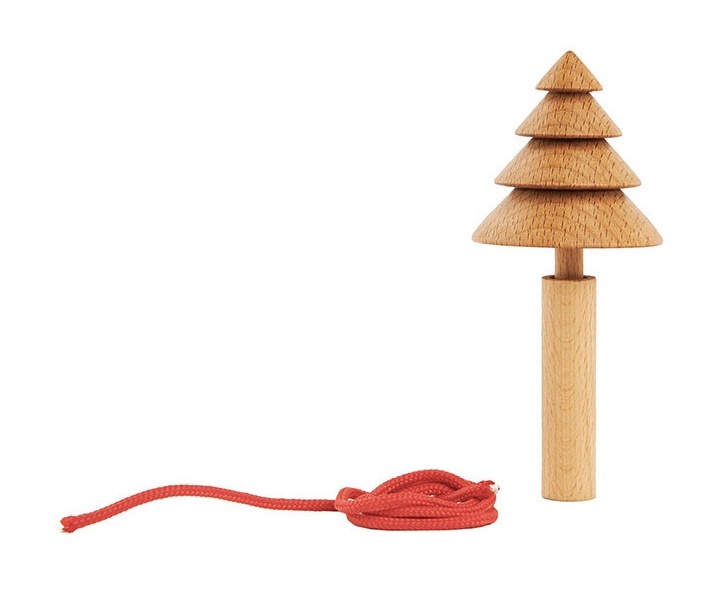 Add a sweet spin to Christmas morning stockings with the fun Mighty Tree Top. The spinning top, a low-tech toy option has been charming kids for generations and this fun version, designed by Karl Zahn with sturdy Beech wood, will delight your kids as well. The Mighty Tree Top is small enough to fit into a holiday stocking, yet still promises fast-action fun. Besides green hemlock, this cute wooden top also comes in gold cyprus, white pine and blue spruce.